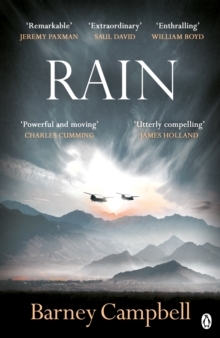 Staff Recommendation: Rain is an authentic account of a young man’s experience of soldiering and the war in Afghanistan. As an officer just out of Sandhurst, Tom Chamberlain is sent to Helmand Province, where his training and the bonds formed between soldiers are tested to the extreme. The culture shock of returning home for R&R, re-entering civilian life with a military mindset, is truthfully portrayed before Tom is sent out once more to complete his tour. Whatever your political views about this war, Rain brings home the sheer extent of the physical, intellectual and emotional realities faced every day by those on the ground.